Another full-electric vehicle on its way to Norway. 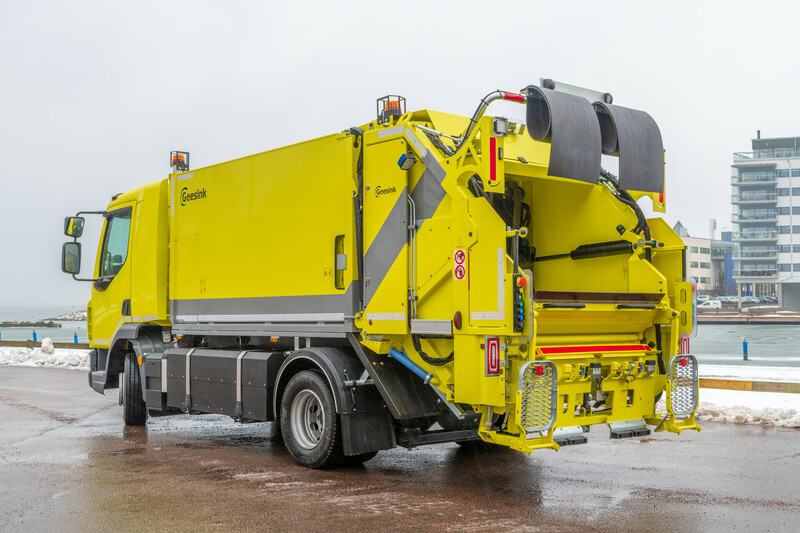 GeesinkNorba can proundly announce the delivery of a new full-electric Geesink GPM Mini to Renovasjonen IKS in Stavanger, Norway. With its 7m³ body this unit is completely emissions free, easy to handle and extremely manoeuvrable. The vehicle is only 2m wide and barely 3m high which makes it ideal for densely populated areas. While being electric, this doen’t mean that the vehicle compromises its payload. The weight and space of the batteries are significant, but the unit doesn’t need heavy diesel engines and fuel tanks. The pay load of the full-electric Mini maintains an impressive 3.600 kg app. The limiting factor for electric vehicles has always been the range, but most urban rounds have characteristically short journeys between collections and shorter overall rounds. The range of this vehicle is between 80-130 km per day which is sufficient for these rounds. This unit features a 150kW engine and 120 KWh LI-ON battery pack, where a vehicle needs app. 1 KWh per kilometre to drive. Geesinknorba has already delivered five full-electric units to waste management companies in the UK, Spain and the Netherlands. 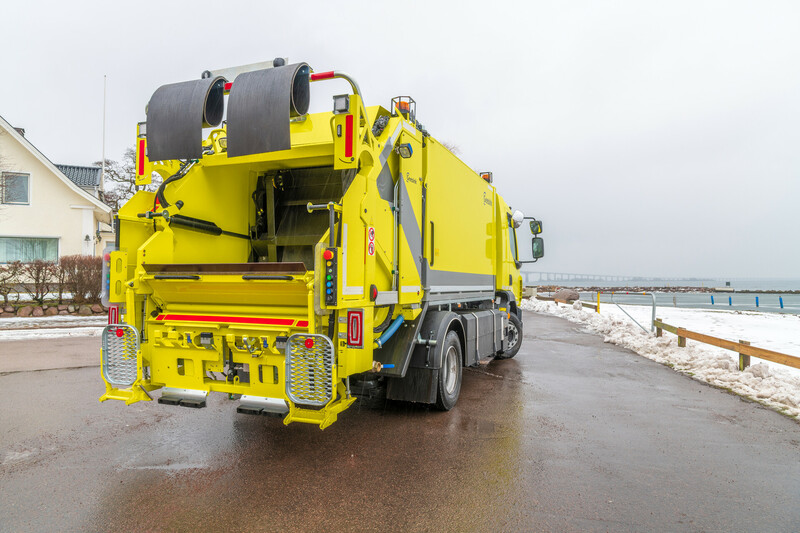 A sister GPM MINI unit is already in full operation in Bergen, Norway. The main selling points are of course the green credentials but also the operational costs are significantly low. The unit saves on fuel costs and also fewer parts to go wrong so less maintenance is needed. We’re well ahead of the curve at Geesinknorba. Our hybrid RCVs have been in operation for more than a decade. It is tried, tested and proven in efficiently powering the lifting and compacting mechanism of our hybrid vehicles. The full-electric unit is the next step – the LI-ON Power Pro, in which the lithium-ion battery powers the complete RCV – is a hugh milestone. And it is ready to go! 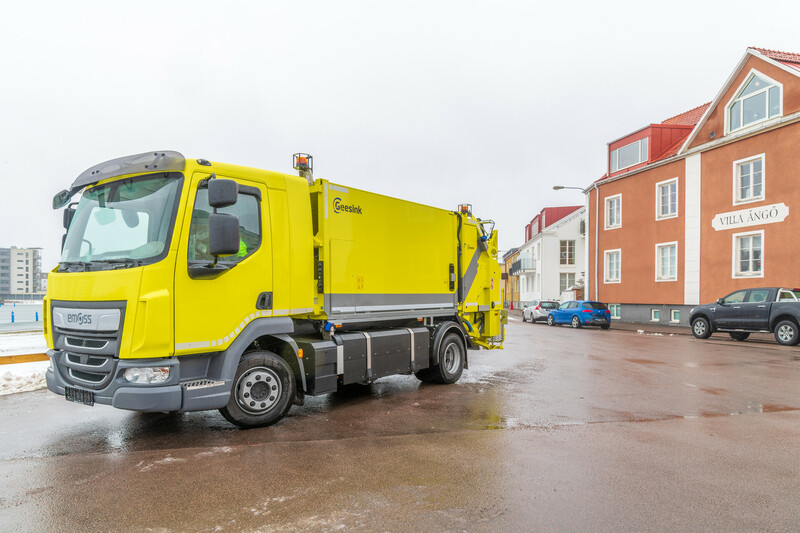 Renovasjonen will carry out its waste management services according their strategy to respect the environment to which this unit is eminently suited. Geesinknorba manufactured the unit in close collaboration with Emoss. Seven customers are already set to receive their full-electric vehicle in the coming period.